Nintendo has revealed the very first product to carry its "Quality of Life" name, and it will measure sleep and fatigue. 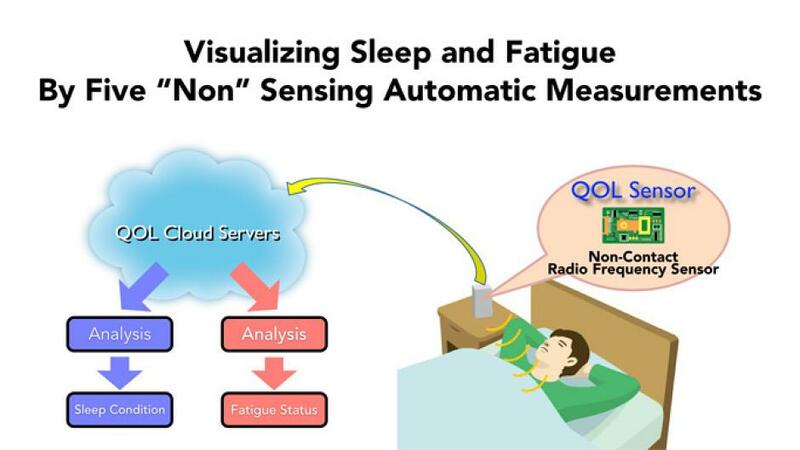 Nintendo CEO Satoru Iwata recently showcased the first product in Nintendo's "Quality of Life" platform, which is a device meant to measure a user's sleeping patterns. The device was designed in conjunction with ResMed, a company headquartered in San Diego, CA that specializes in manufacturing products to treat sleep disorders. The device, unlike many sensors made by other sleep-analysis companies, does not need to be worn by the user. Instead the device will sit in a box by a user's bed and utilize a radio frequency sensor to measure breathing, heart rate, and periods of movement without needing to touch the user's body. Once the device collects the data it will be sent to cloud servers and analyzed and feedback will be provided to users with suggestions on what they can do to help them sleep more soundly. Iwata did not reveal a release date or any details on the design of the sensor, but added that data from the sensor would be accessible from game systems, smartphones, and tablets, explaining that the sensor itself will send information to the Quality of Life cloud, which encompasses the aforementioned platforms.